The latest patterns from Simplicity and New Look are posted to the Simplicity website. I have to say I am a bit surprised because I actually like quite a few of the New Look patterns (or, well, I at least think they are well styled on the envelopes), where Simplicity was a total snooze fest. Literally. We have – wait for it – seven new sleepwear patterns. Seven. Which, you know, is bad enough, but when you consider that the autumn pattern collection had thirteen sleepwear patterns it leaves me wondering what happened to all of their pattern designers. 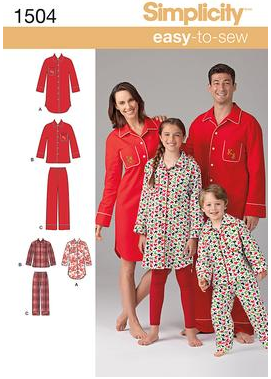 I mean, do we really need 20 patterns for PJs? Really? but still modest enough for a family gathering. The jacket is cute too. NL6242 – This corset pattern could be fun for non-family holiday parties. but they did a great job of making this look stylish on the envelope. NL6247 – This top has the potential for cute color blocking. NL6248 – The boxy coat is not my style, but it looks like a big trend this fall. 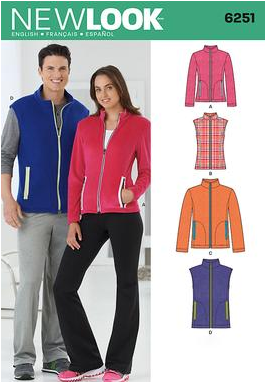 NL6251 – I like all the seam lines on this workout jacket. Might be good for those early skating mornings in winter. Or, you know, for those of you who actually skate on ice. The New Look collection was about half adult and half child patterns, and most of the adult patterns were pretty decent, so I thought that overall this was a great release for that line. Sadly, the Simplicity patterns weren’t nearly as good. 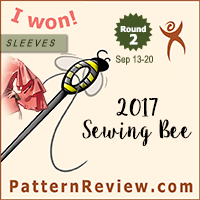 In fact there were really only two patterns of interest, and one of them is a costume pattern! S1497 – A Suede Says pattern. but the style seems more geared towards the teenage crowd. 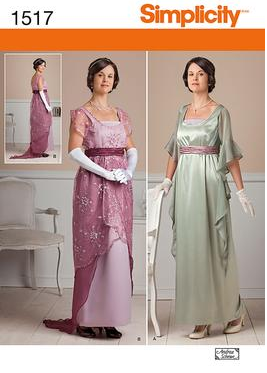 S1517 – A Downton Abbey inspired costume pattern. Without question the best pattern in the new collection. S1504 – PJs for everyone! Ok, I know that we are becoming an increasingly casual society, and that college kids wear pajama bottoms to class on a regular basis, but, honestly, we can’t all live in PJs all the time! I feel like most of the fall and winter patterns from Simplicity were a total waste. All of the pattern companies were a bit on the boring side this year, but Simplicity really dropped the ball as far as fashionable sewing patterns go. I can accept that the trends right now tend more towards the simple and streamlined, which can sort of read as boring. But Simplicity didn’t even give us boring. They gave us pajamas. What happened to Project Runway patterns? Where is Cynthia Rowley or Jessica McClintock? Even an Amazing Fit pattern (which tend toward the more basic styles) would have been exciting compared to this mess of oversized unisex styles. Dare I ask what you all think? Do you like the New Look patterns, or was I just over excited when comparing them to the new Simplicity collection? Am I being too harsh in my rant? Or are you all as annoyed by the onslaught of pajama patterns as I am? Feel free to discuss in the comments! Hmmmm, releasing 20 PJ patterns that could probably be self-drafted in 30 seconds compared to actual clothing patterns that might actually, you know, be worth sewing? I have been totally underwhelmed this year by the “big 5” pattern production this year. There may have been one or two that I kinda liked, but nothing that I had to have. Makes me wonder how PR is going to manage to come up with the best 2013 patterns, as I don't think there has been any. More pajamas? Nooooooooo!!!!! A normal person does not require this much diversity in their “pajama wardrobe”. Easy: With Indy patterns! 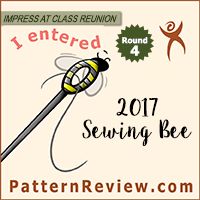 Last year there were 3 Sewaholic and 1 Colette pattern on the list with an honorable mention each to a Coletter and a Style Arc pattern. Maybe this means Burda might actually crack the PR Top Ten list this year? It seems like a lot of people were making knit tops and the twisty maxi dress from the February issue. Of course, it sort of went down hill from there, but February and March were both pretty good.